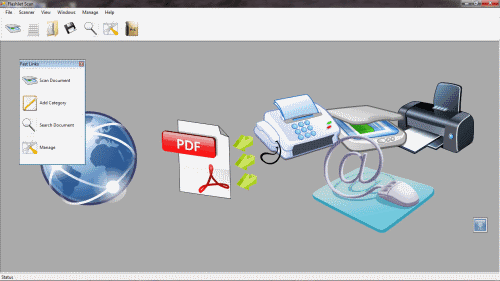 FlashJet Scan is a handy and reliable utility designed to scan and manage documents in a logical way so that the user can easily find a document later. The purpose is to avoid collecting bills and other documents. You can scan them easily and save them for later use without gathering mass of paper. After scanning your documents, you can assign them a category and a description in order to organize them better. · Each scanned file gets Timestamp. · Each file is registered at internal DataBase. 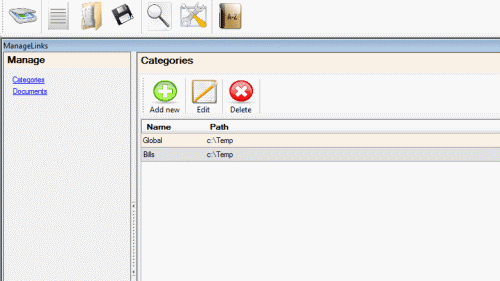 · The user can search for a file by Category, Name and Timestamp. · New Fast link menu. 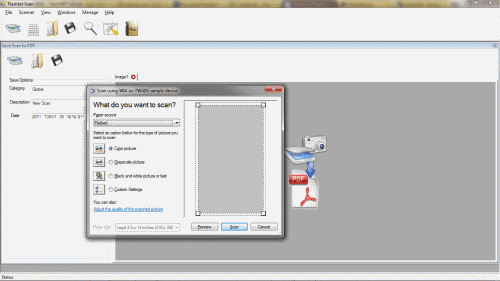 08/12/2011 – FJScan added to Soft82. 08/12/2011 – FJScan added to filecluster. 06/12/2011 – FJScan added to MajorGeeks.com, Click to view link. 05/12/2011 – FJScan 2.0 is available at http://www.freewarefiles.com. 30/11/2011 – Post at http://www.addictivetips.com about FlashJetScan 1.0.0.11. Click to view link. 25/11/2011 – Version 1.0.0.11 Published at Softpedia. Click to view link. The requested URL /_products/FJScan.setup.zip was not found on this server. I’ve changed the download links and add mirror at majorgeeks and softpedia. The setup or after you setup and run the program? hello , I’m using fjscan , version 2.0.0.1 is perfect for what I need to do , but can not find the stored files even if these are present in the target folder , the link to download the 2.1.0.20 version does not work on the internet and I find only files with virus, you can link to reset to the ?? thank you!